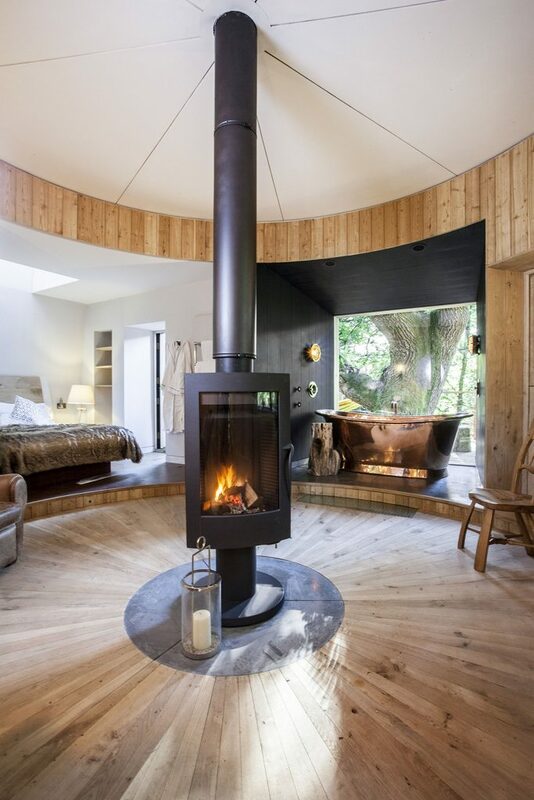 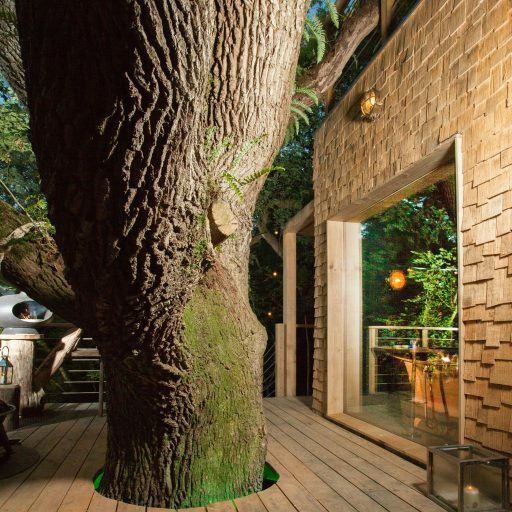 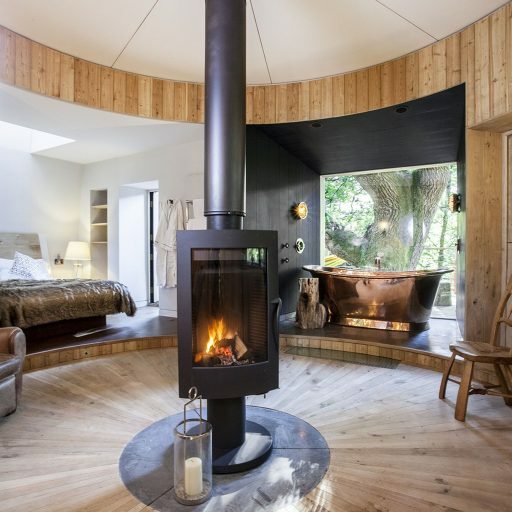 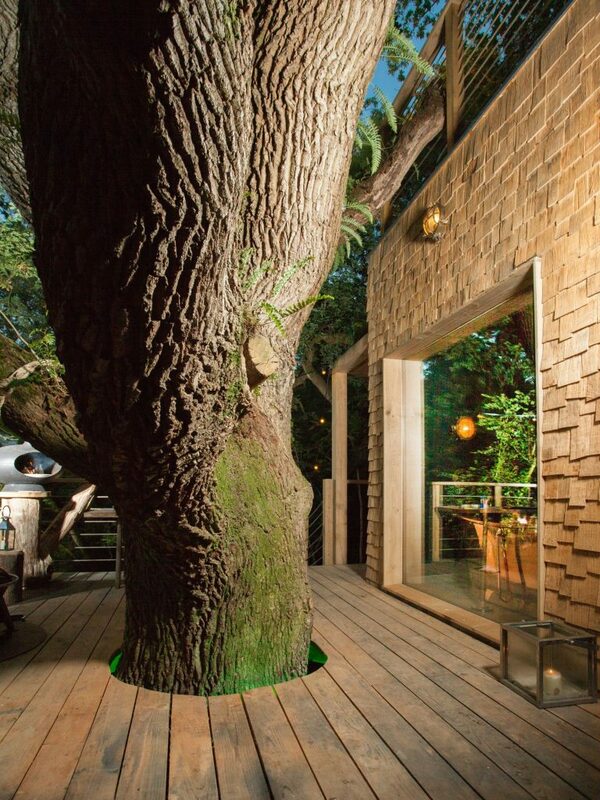 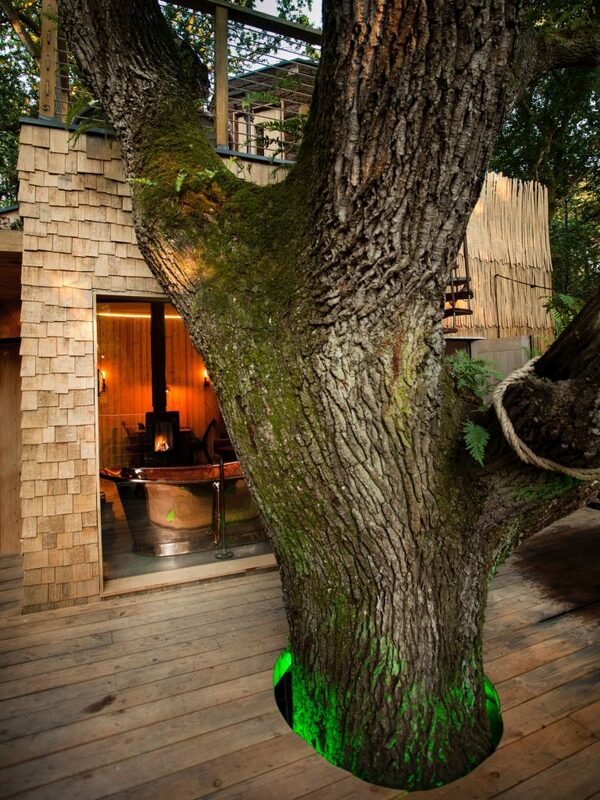 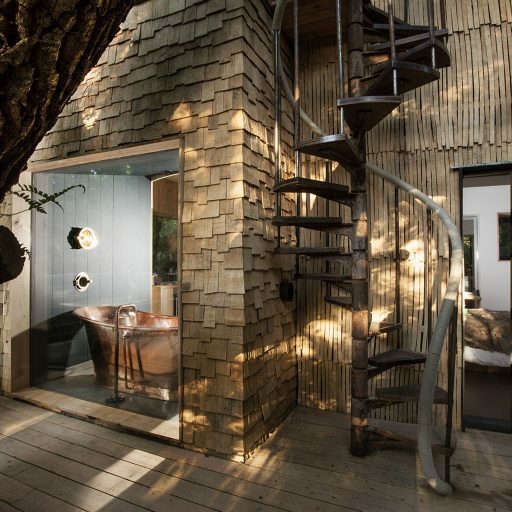 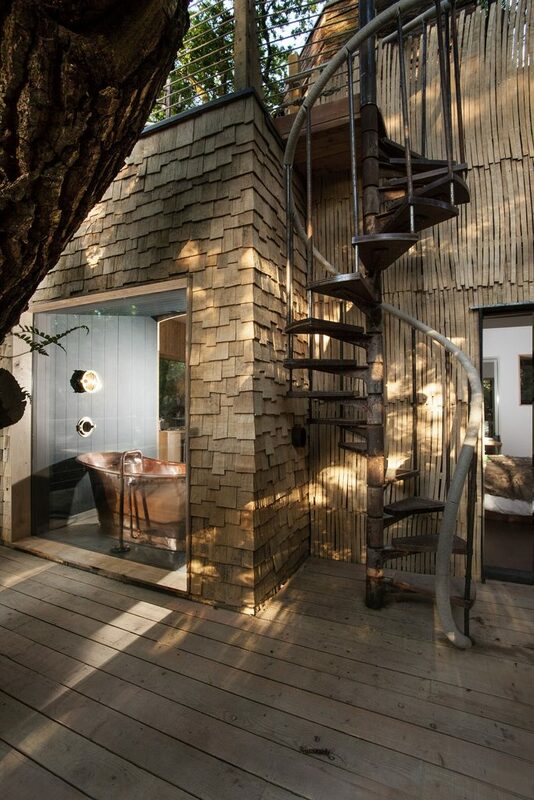 RIBA nominated, The Woodsman’s Treehouse by Guy Mallinson was described as ‘childhood fantasy come to life’ on Channel 4’s Grand Designs House Of The Year. 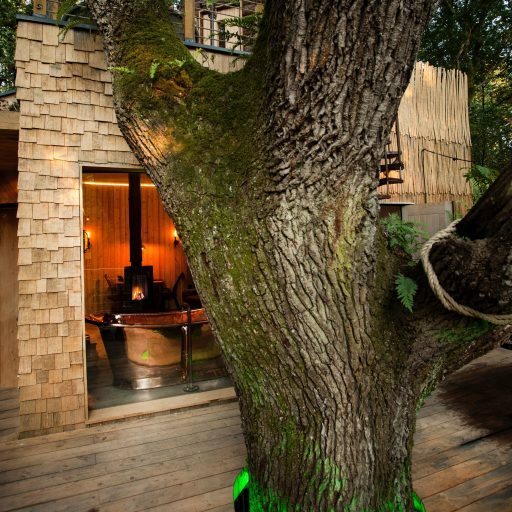 Built around a magnificent Ancient Oak tree deep in the heart of Dorset Woodland, the Treehouse is the ultimate fairytale retreat. 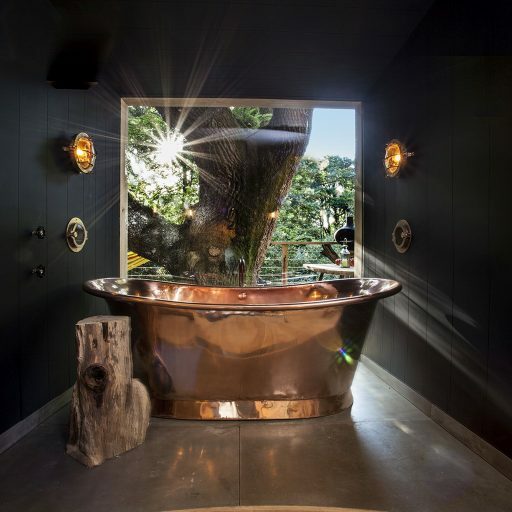 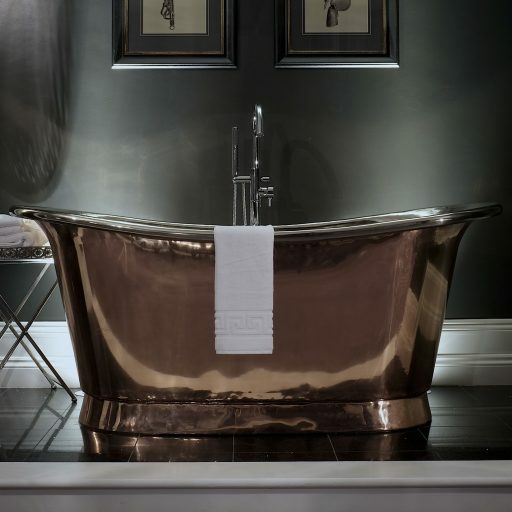 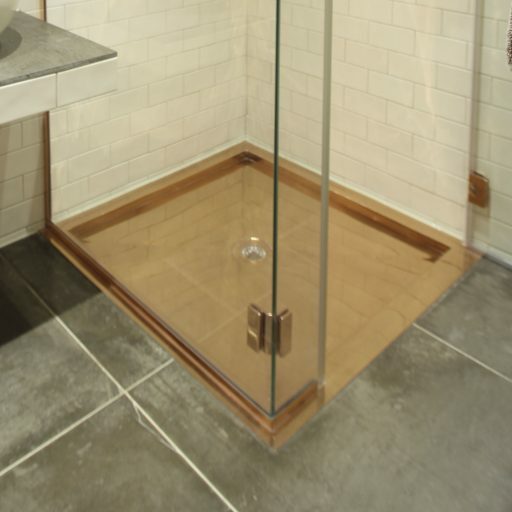 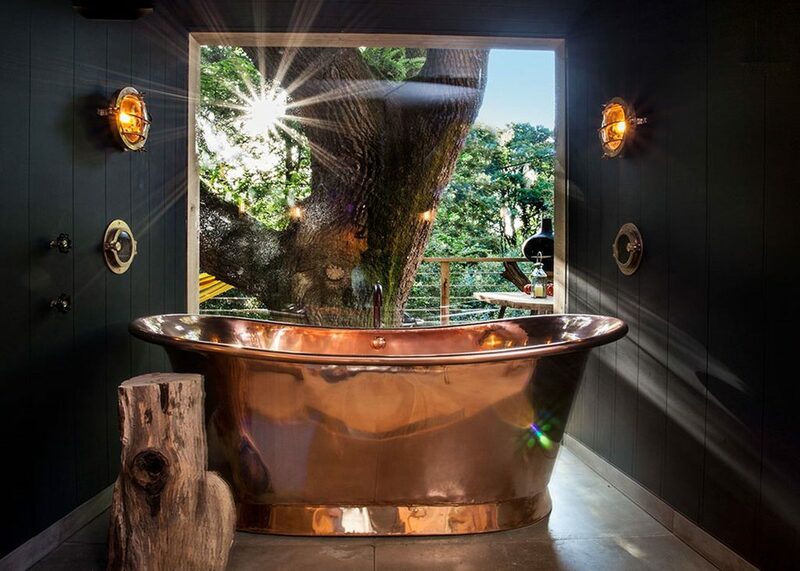 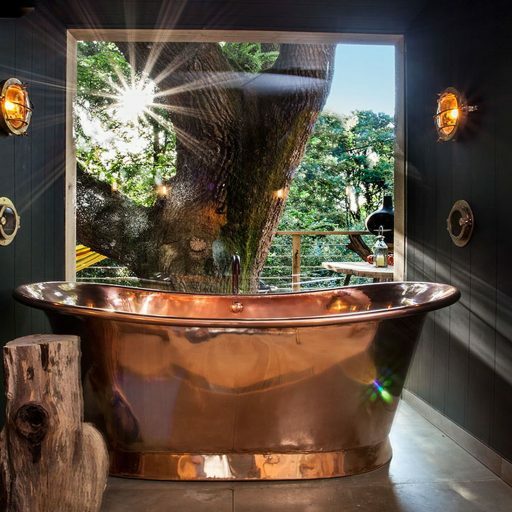 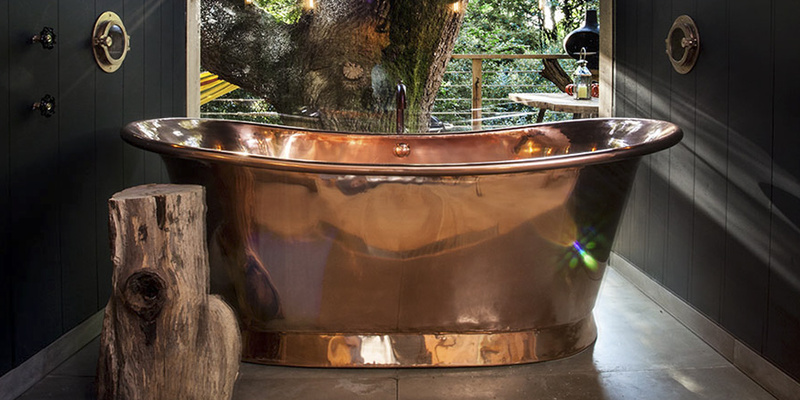 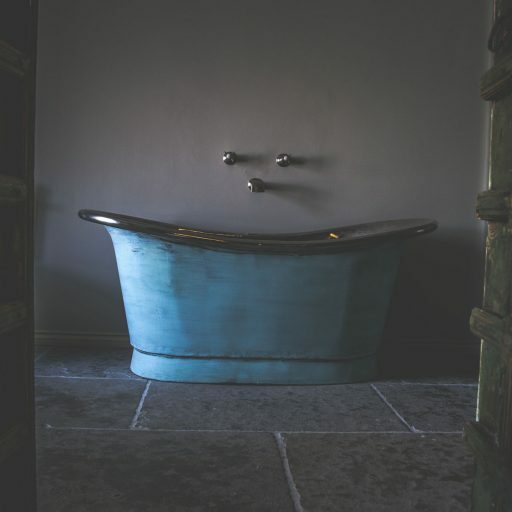 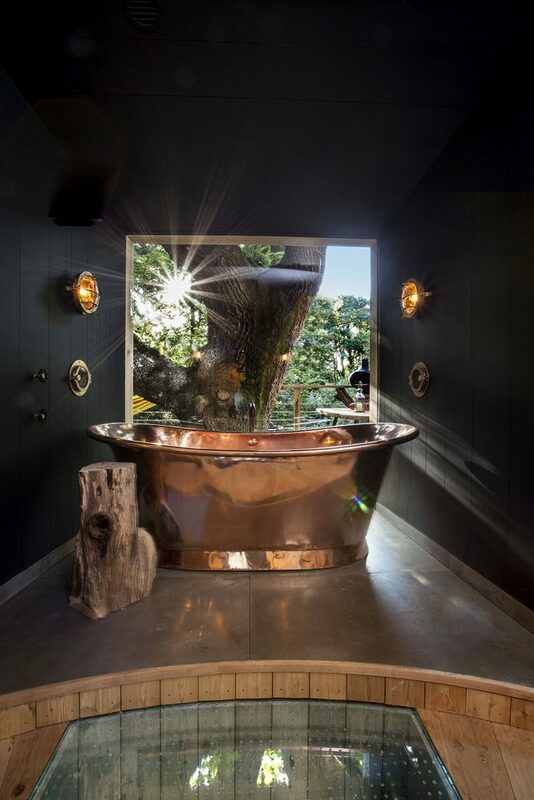 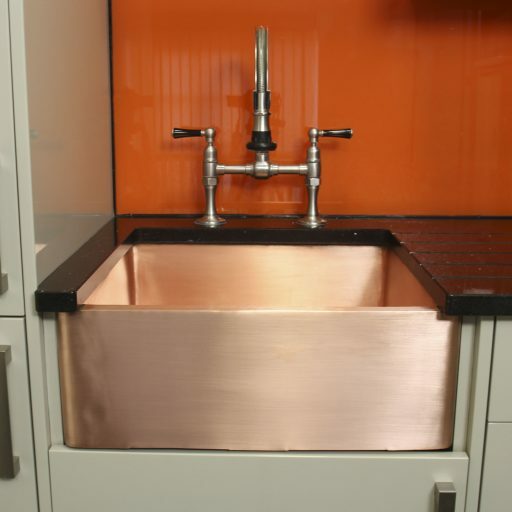 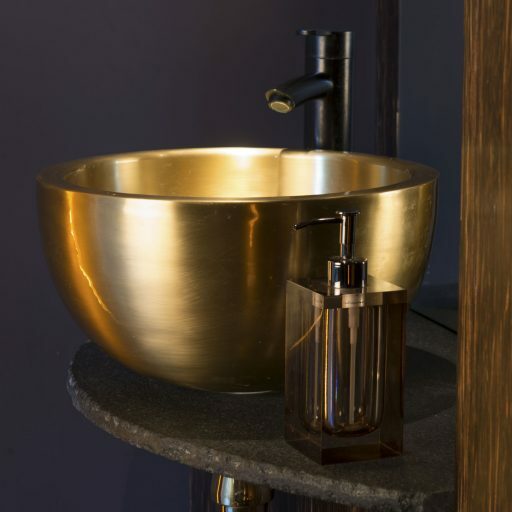 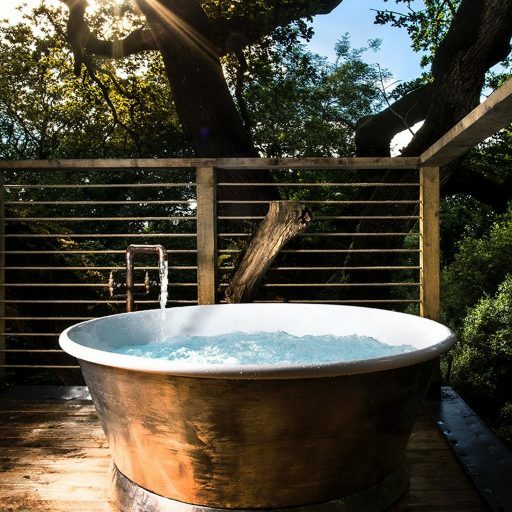 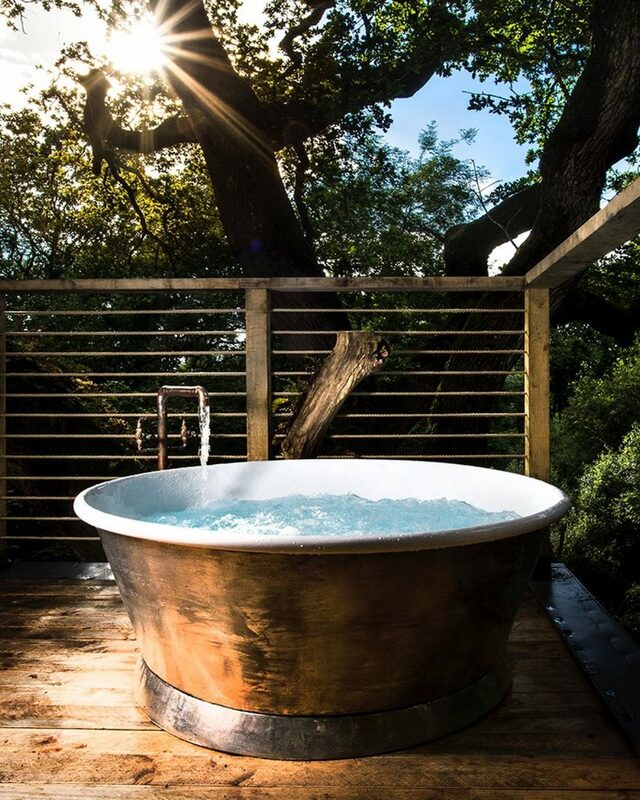 The building ‘frames the views of its woodland setting… the most spectacular of which is of the ancient Oak tree’ viewed when reclining in the breath taking copper bath.